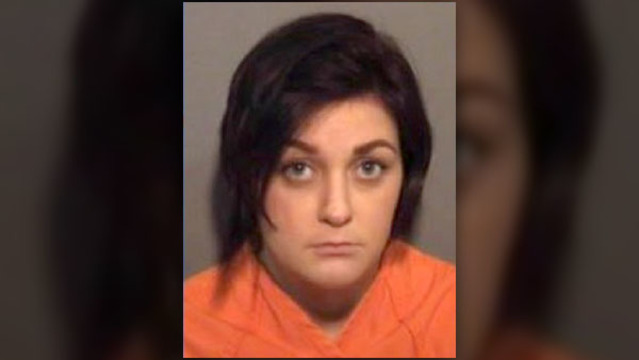 NORTH MYRTLE BEACH, SC (WBTW) - - A North Myrtle Beach woman is accused of killing two newborns and disposing of their bodies in the trash, according to warrants. According to the warrants from the North Myrtle Beach Police Department, Alyssa Anne Dayvault allegedly disposed of a male newborn's body "on or about December 2-3, 2018 in the area of 98 S. Oak Street located in the City of North Myrtle Beach." "The defendant was admitted to Grand Strand Regional Hospital on 12/5/2018 for complaints of heavy vaginal bleeding and during treatment she 'delivered' a placenta and umbilical cord consistent with a full term pregnancy, but no child was 'delivered.' Police were contacted and conducted a recorded post-Miranda interview, during which the defendant admitted that she birthed a newborn male child at her residence in North Myrtle Beach," state the warrants. "The defendant stated that the child was born alive and took multiple gasping breaths after having been born. The defendant further stated that she failed to secure medical treatment and did not personally take action to attempt to preserve/save the infant's life. The defendant then disposed of the child's body in a waste receptacle at her residence in NMB without seeking help or notifying authorities." Dayvault is charged with murder/homicide by child abuse and graves/destruction, desecrations or removal of human remains in this case. She is also accused of disposing of a female newborn's body "on or about November 4-23, 2017" in the area of 1100 David Street in the City of North Myrtle Beach, according to warrants. "Police recorded a post-Miranda interview pursuant to a separate investigation, during which the defendant admitted that she birthed a newborn female child at her residence in North Myrtle Beach." "The defendant then disposed of the child's body in a public waste receptacle at her apartment in NMB without seeking help or notifying authorities," the warrants also say. "During the course of the investigation police obtained medical records which indicated that on 11/4/2017 the defendant was in her 3rd trimester of a pregnancy and that the fetus had a healthy heart tone." Dayvault is charged with murder/homicide by child abuse and graves/destruction, desecration or removal of human remains. According to J. Reuben Long Detention Center booking records, Dayvault was booked around 3:40 p.m. on Tuesday and remains in the center. No bail has been set as of 6:45 p.m. Wednesday. Note for our East Tennessee viewers: There are resources for mothers who have an unplanned or unwanted pregnancy/childbirth: A Secret Safe Place For Newborns of Tennessee, a nonprofit organization that accepts unwanted, unplanned newborn babies under the state's Safe Haven Law, which allows mothers of newborns to surrender unharmed babies to staff at designated facilities within 72 hours of birth without fear of being prosecuted. Note regarding the Safe Haven laws of South Carolina: You can leave your baby, up to 30 days old, with an employee on duty at any hospital, emergency medical services provider, law enforcement agency, fire station or any worship center in South Carolina. For more information about each state's Safe Haven laws, you can click here.